Built circa 1840 by Larkin Griffin, founder and namesake of Griffin, Georgia, this was the birthplace of poet, flautist, and Confederate signal corpsman Sidney Clopton Lanier on 3 February 1842. His grandparents, Sterling and Sarah Lanier were living here at the time of his birth. Sidney’s father, Robert Lanier, was a friend of the Griffins and had a law practice in Griffin. He and his wife, Mary Jane Anderson Lanier, were in Macon for Sidney’s birth because of the availability of medical facilities. The house was moved from a nearby lot to its present location around 1879 and the front porch was added. It was remodeled again in the early 1900s. 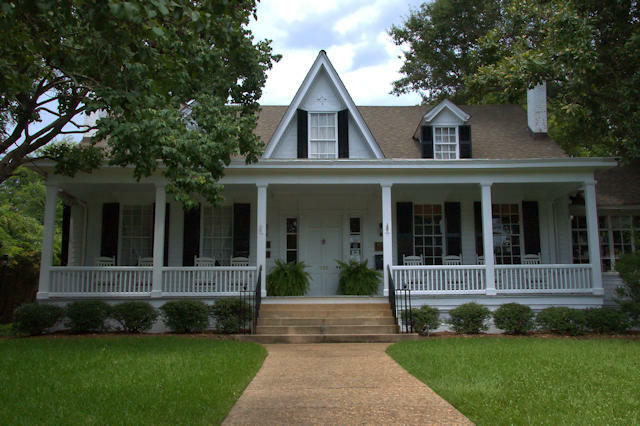 Today, the Sidney Lanier Cottage is owned and operated as a museum and event space by the Historic Macon Foundation. 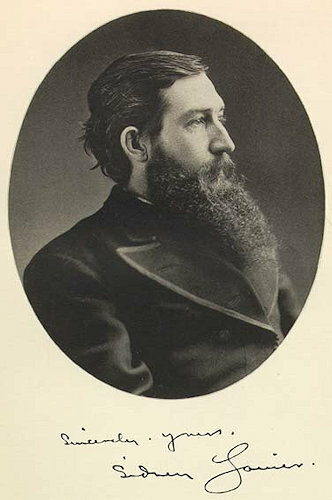 In his time, Lanier was Georgia’s most renowned literary figure, penning the famed poems “The Marshes of Glynn” and “Song of the Chattahoochee”. He was also a well-respected musician, serving as first chair flute with Baltimore’s Peabody Symphony Orchestra for seven seasons and composing a cantata for the American centennial celebration in Philadelphia in 1876.